THIS SITE IS ALWAYS CHANGING! PLEASE COME BACK FREQUENTLY! The Nashville 112 - new model! Peavey's Nashville™ Series has long been the standard for steel guitarists, and the company's support of this genre continues with the Nashville™ 112. I have been using these amps since they first surfaced in the UK, in late 2003. I originally used two in parallel, when I was playing with Hogan's Heroes. Nowadays, I use just one for my current regular gig with The Chris Dunne Band. I sometimes mic up into the front-of-house P.A. I find the 80 watts more than adequate. I think these amps are the bees-knees! 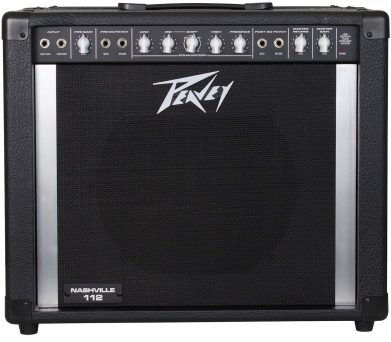 It is extremely portable, unlike previous steel guitar amps from Peavey, like the Session 500! 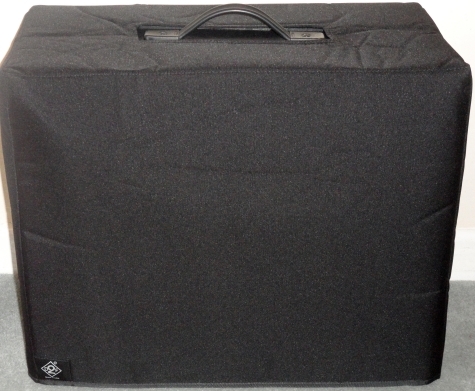 It has incredibly adjustable EQ, to allow you to get exactly the tone you're after! The new 2017 model is hardly altered - a few cosmetic changes, e.g. white pointer control knobs, vertical aluminium strips at left and right, on speaker grille. (09/10/17) Now I've used it for several months, I can better compare this new version to the original: and I believe the upper-register response has been improved - it seems to me that the note response is more even now, from the low-register to the upper-register. I can hear myself even better than I could with the old version - which I thought was a fine amp at the time! This amp gives me all I want from a steel guitar amp - it's crisp, clean and has plenty of clarity at the bottom-end and the top-end. It also handles chords with separation between the notes. It's a marvel! Fits like a glove! Beautifully tailored.